The last part of the award-winning point-and-click adventure - Deponia - is going to be released already this week - on the 18th of October. And yesterday the developers decided to show us a glimpse of the future game with its launch trailer. 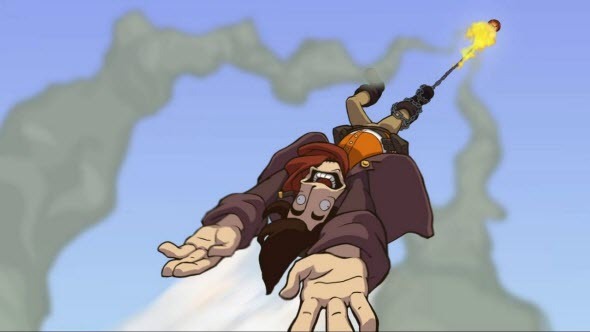 Goodbye Deponia game will be the last adventure of Rufus and Goal. We would like to remind you that these characters have already been featured in Deponia and Chaos on Deponia games, where they were trying to escape from the trash-planet and also save it from the recurrent catastrophe. This time you will also get a portion of traditional game's humor, nice cartoon graphics, interesting puzzles, tasks and riddles, and, of course, a piece of romance. Moreover, there will be even three Rufuses, so the game is promising three times more sarcastic jokes. Yesterday the developers published the launch trailer of the Goodbye Deponia game, and already now you can evaluate this video. By the way, if you really want to say Goodbye to Deponia, now you have a brilliant chance, because the game is available for pre-order on Steam at 10% discount. 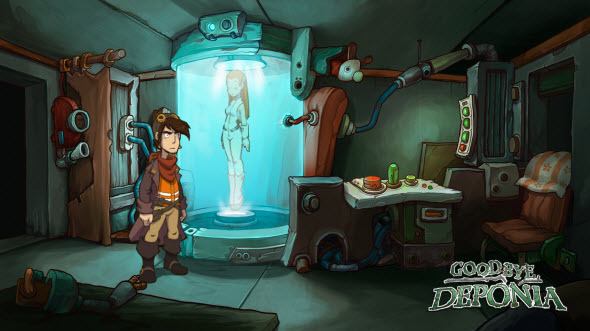 And if you haven't played the previous parts of this game, you can read our Deponia review to find out, whether this project is interesting to you.